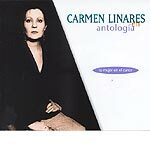 In 1996 she published her most important recording, and perhaps the most relevant of all in recent Flamenco: 'Carmen Linares en antología, la mujer en el cante', where she rounds up all the feminine Flamenco creations. Antología is a jewel that gathers 27 different styles of cantes by a woman. Her anthology has become a classic in very few years. The definitive compilation; including unedited material. 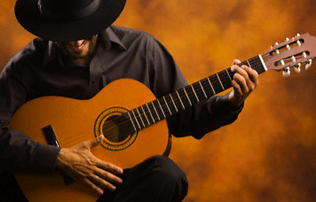 In Camarón: Antología we find nothing less than the songs that songs with which José Monge Cruz, a.k.a. Camarón de la Isla, excited our soul, made is tremble and obliged us to cry. ''Antología cantaores del flamenco'' consists of 2 discs with the following artits: Rafael Romero, Paco Toronjo, El Lebrijano, Caracol, Turronero, Maria la Perrata, La Paquera, Porrinas, Terremoto, Fosforito, El Chato de la Isla, Luis de Cordoba Antonio el Sevillano and Antonio Mairena. A compilation album with unedited tracks and alternate recordings of songs from Camarón's different periods. A special album where we can find a very young Camarón at 16 years of age and at the very last traces of a mature cantaor; always with the emotion and feeling of the genius that has revolutionized Flamenco.